Wheeeee! Normally I'd have a giveaway but I just did that so I'll probably wait until my 525th post for a super duper giveaway. Any ideas on what I should do? Anyhoo this post is about a special project I'm doing. I know, I know, I'm ALWAYS doing a special project. This one is a challenge project that I think I mentioned previously. Patrick Gill is hosting a fun Dark Villains of Fairy Tales challenge. 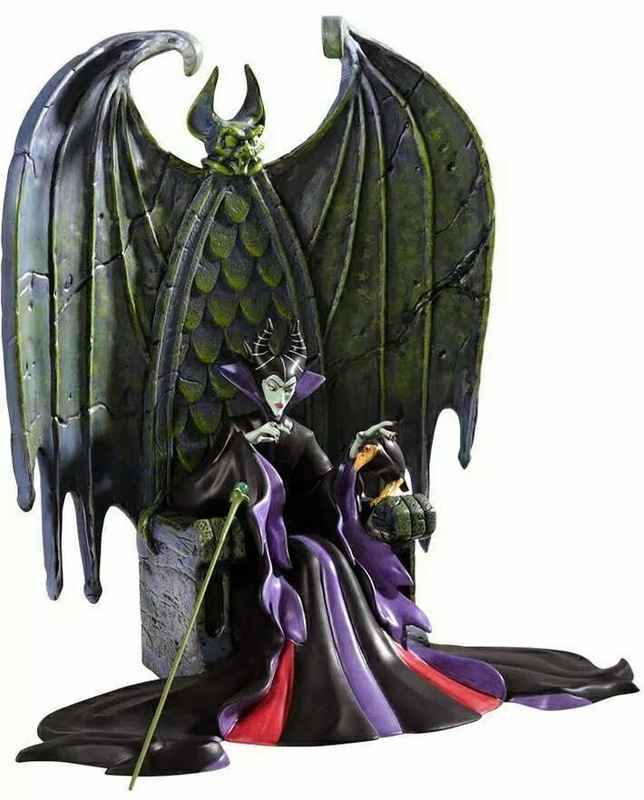 I got Maleficent from Sleeping Beauty and have spent a long time deciding how I'm going to do her. This isn't a typical doll challenge this is a scene in a diorama or shadowbox. Most of the participants are sculptors of clay and while I have sculpted, it's not really my medium so I decided I would do this whole thing in felt. We are supposed to push ourselves beyond our comfort zone and do something really spectacular. That's exactly what I'm doing and can tell I'm out of my comfort zone by the amount of anxiety I'm feeling about this. I finally figured out the scene and started working out the process which I'll share wips of here. 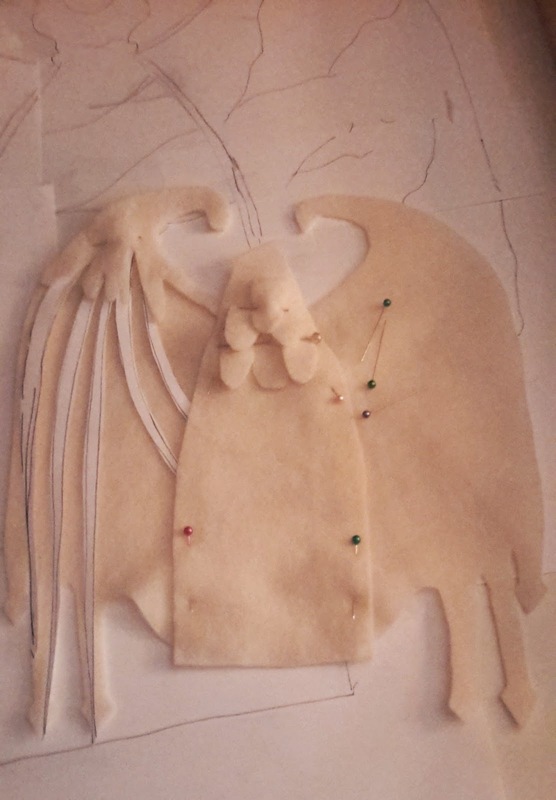 It's going to be a shadowbox and will be a soft sculpture piece. I'm not going to share all the details yet because I'm under a time crunch and may not be able to do one part of it in order to meet the deadline, but you'll see what I'm confident I can complete in time. I have until May 31st but hand sewing takes a long time and I have another project going at the same time so I may not sleep much this month. Hey who needs sleep when your creative mojo is on high? This is the basic scene I'm doing. It would be fun to sculpt this in clay but the real challenge for me is soft sculpting this. 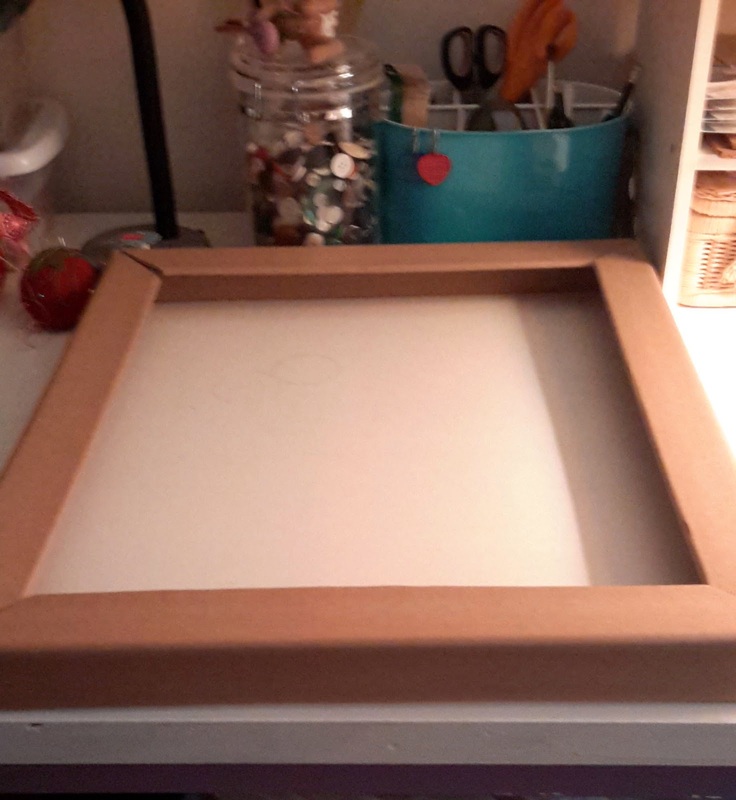 This cardboard frame came in a box that our new grill was in and is a perfect size to make a shadowbox. Until I found this I was unclear on the size this piece should be, then it was a eureka moment and everything melded together in my head. 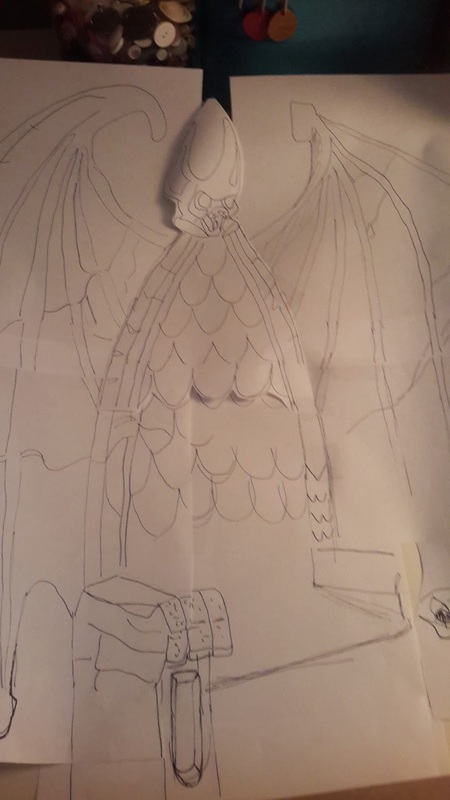 I did a really rough sketch to get the proportion and size correct and will built the throne first then Maleficent. I started a smaller prototype at about a 1/3 of the size to work out the details and some problems that I foresee. I had to wait 2 weeks to start this because my mom had surgery and needed care and I was too tense to work on this. But I am starting and I'm still nervous about it so and positive thoughts would be appreciated. PART 2 and PART 3 and PART 4 can be found by clicking these links. Do you want to try your hand at an easy felt project? Join my newsletter and get FREE access to my newest patterns! Exciting:) I'm doing a challenge on Cloth Doll Artistry and I was thinking of doing her too...she's so evil. Good luck getting her done.